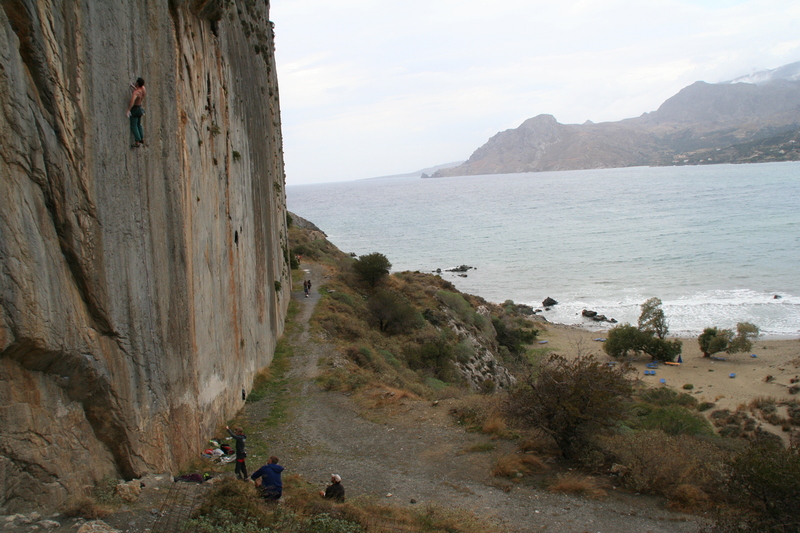 I’ve been in Greece many times since many years, climbing around Athens, Peloponnesus and Crete. 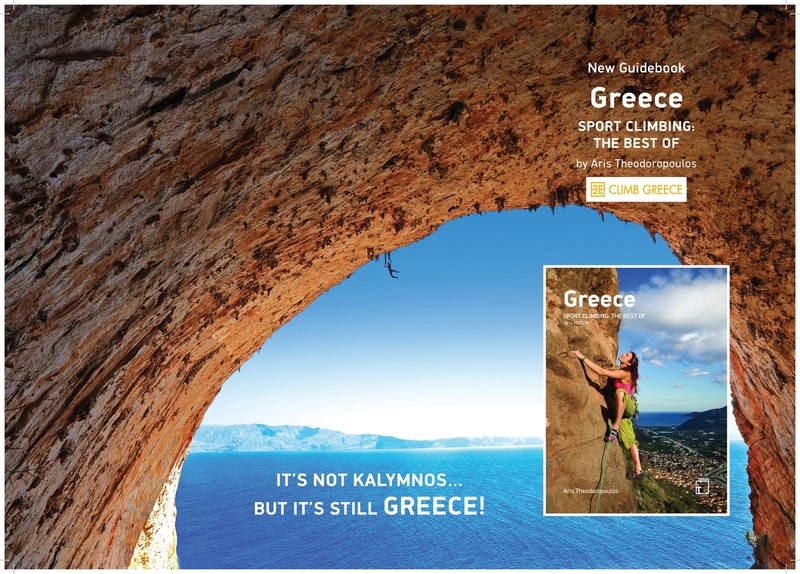 I can tell you that it will be in the next year the place in Europe to climb! 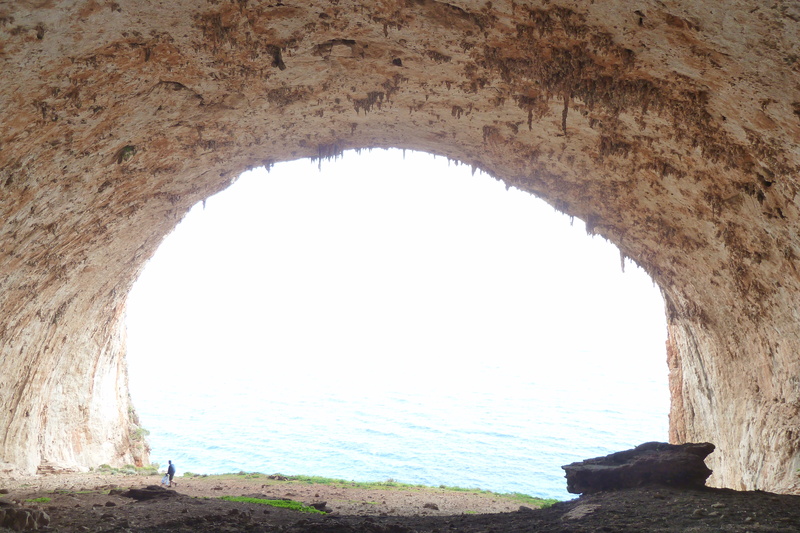 You can easily spend 3 weeks there for climbing and visiting (archeological sites and seaside). 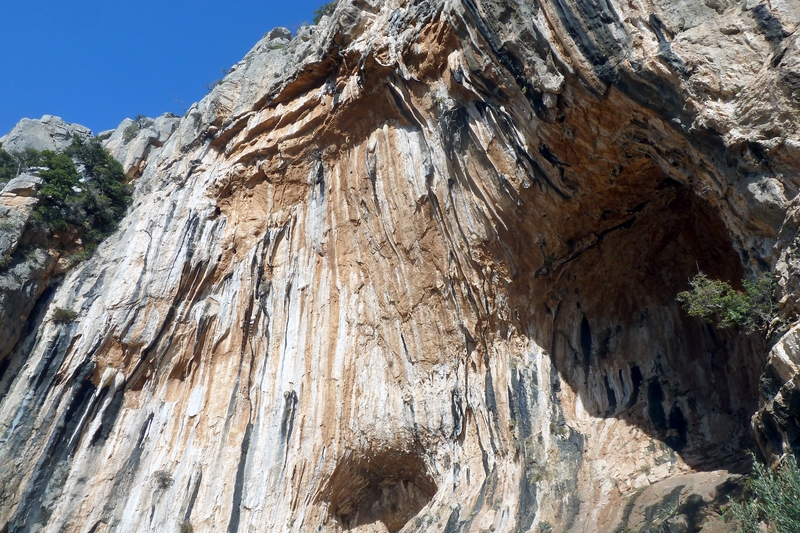 In Greece there are more than 3000 routes, the rock is incredibly high quality and not polished generally. 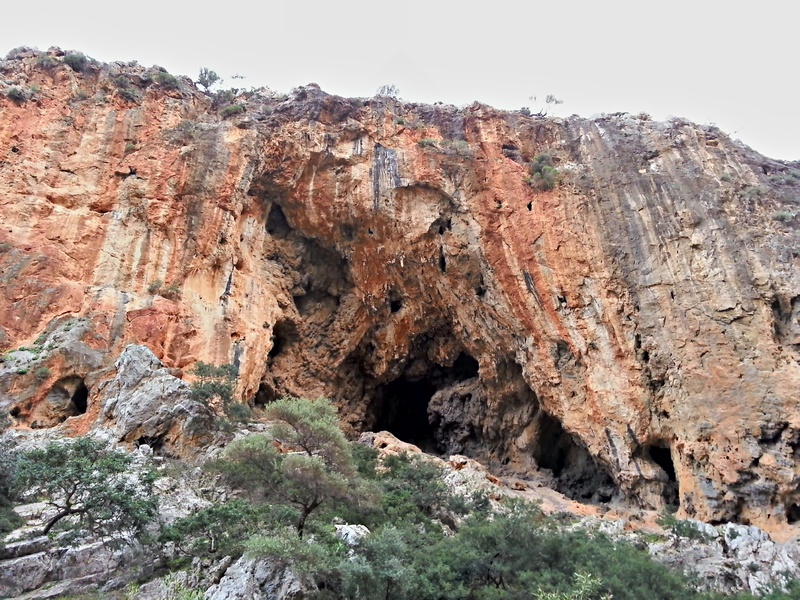 Here you can also climb all-year around and it is easy and cheap to reach. 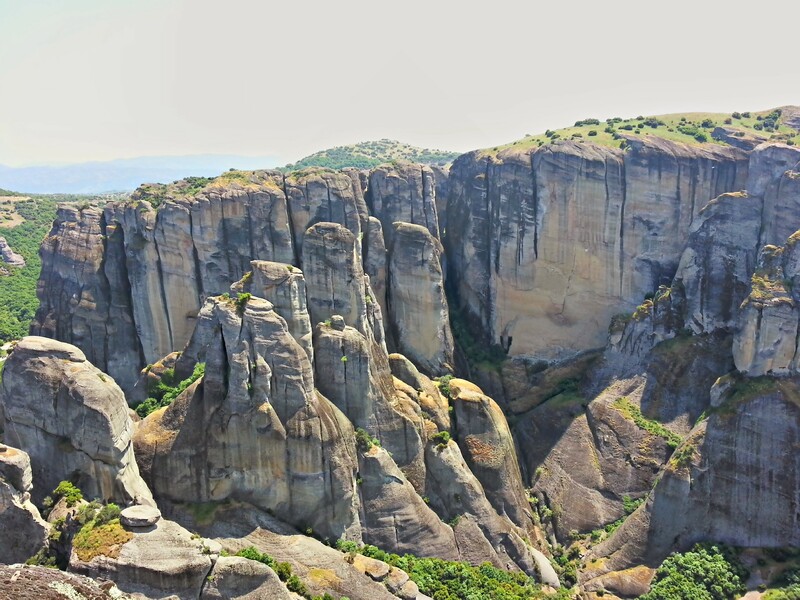 One hour south to Athens, an incredible amphitheater, the place and the rock have to be visited! 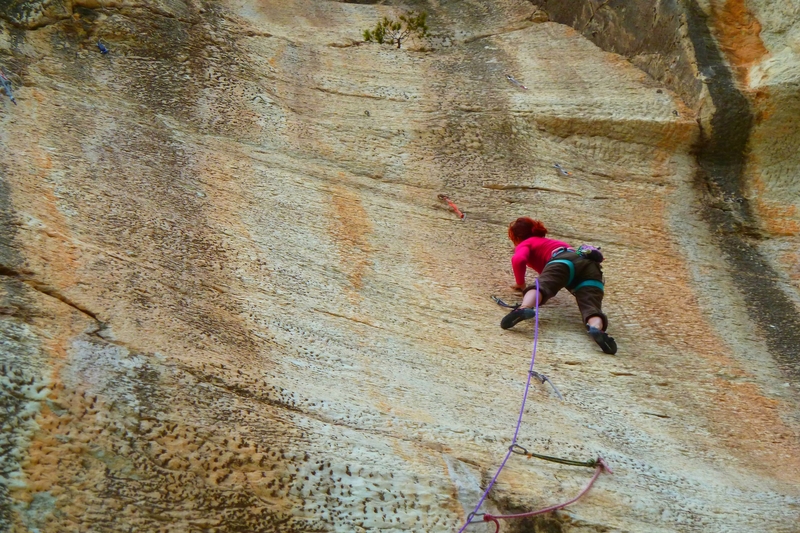 Crimps on a red wall, technical climbing. Shadow in the afternoon. 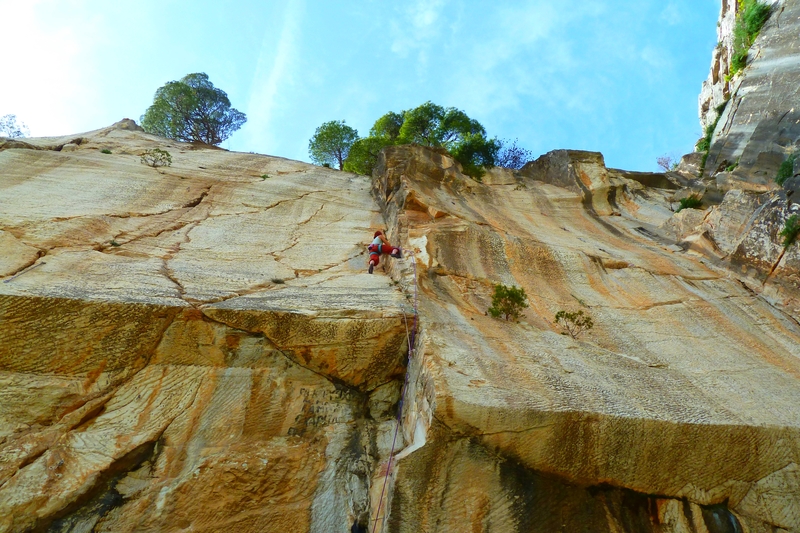 25 routes from 7a to 8c. 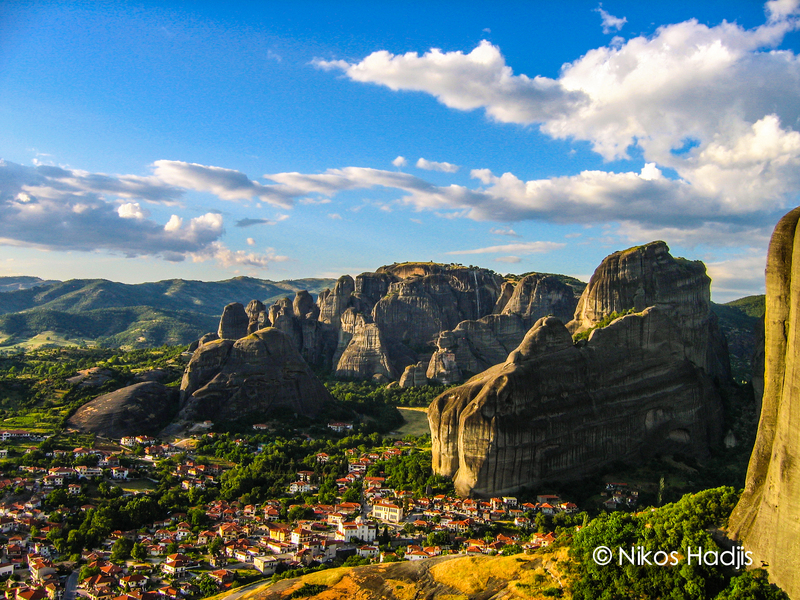 THE cliff to climb around Athens! 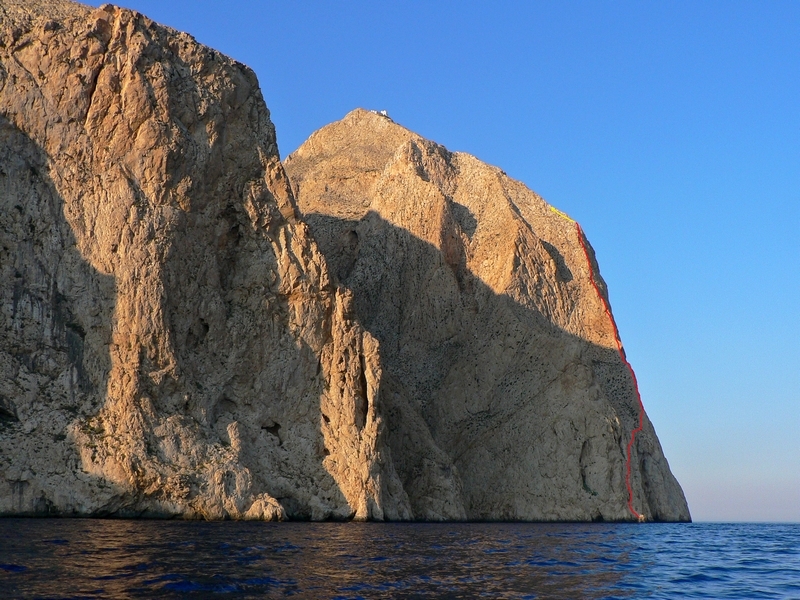 Awesome routes with many tufas in a big overhanging wall on Kalymnos-style rock. Shadow in the morning. 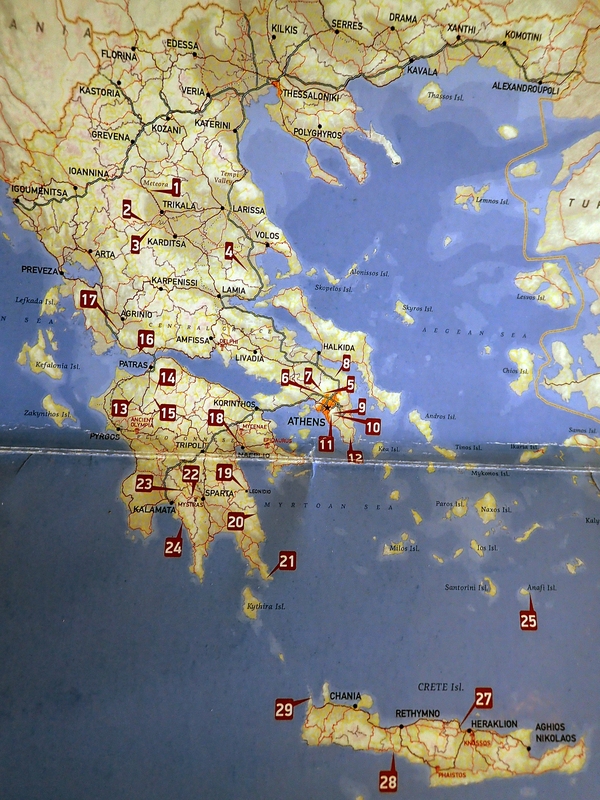 40 routes from 6a to projects. 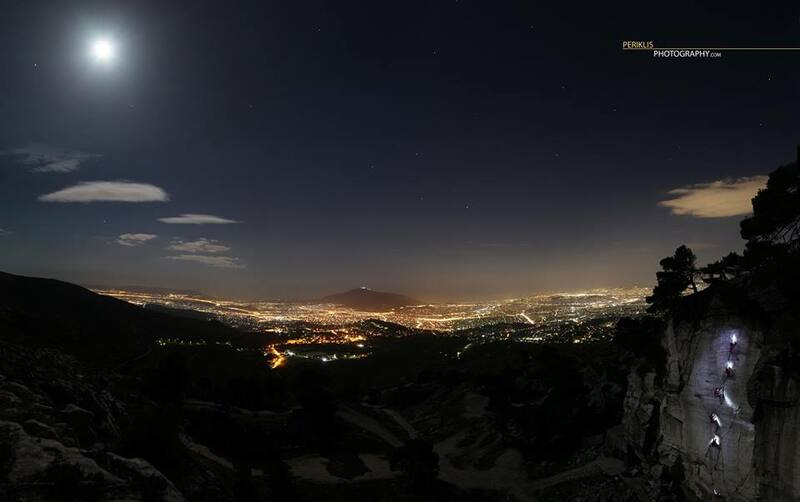 Up on the Pedeli mountain, one of the three mountains (1000m) around Athens. 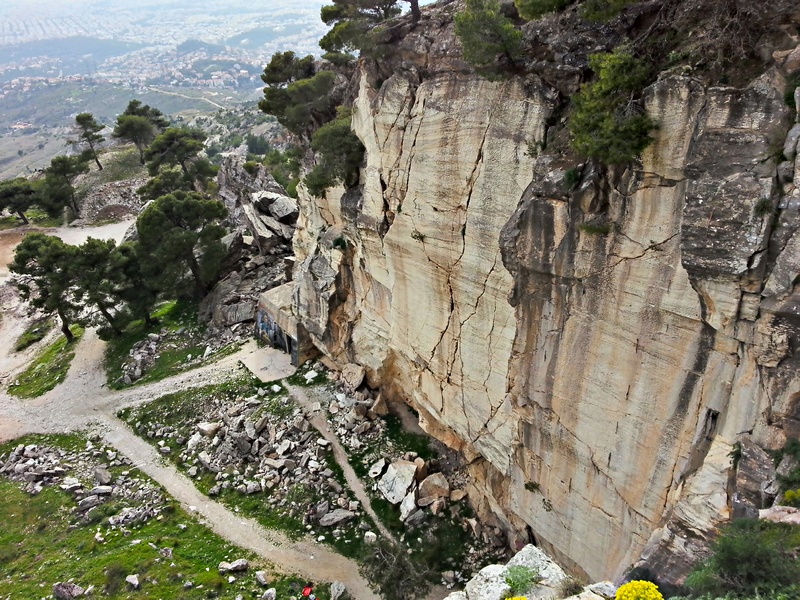 Marble rock (ancient Acropolis stone-pit), not so slippery due to sand-like surface friction. 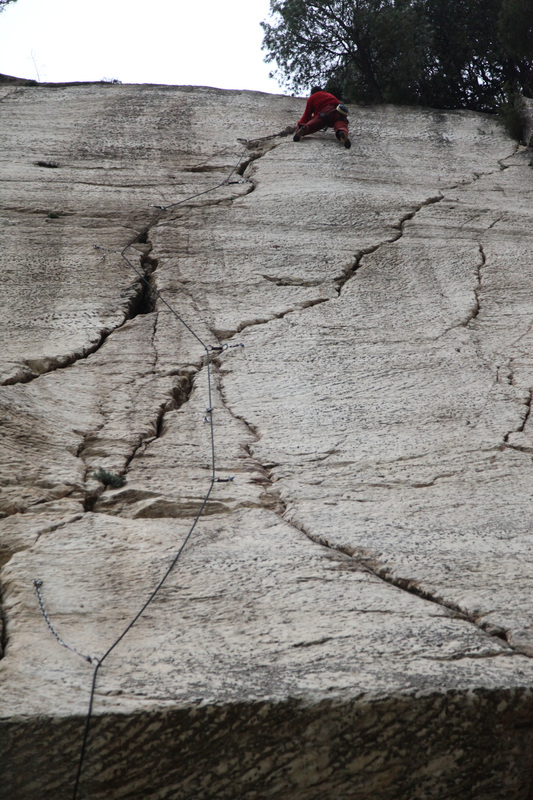 A lot of difficult cracks and technical walls. Shadow in the afternoon. 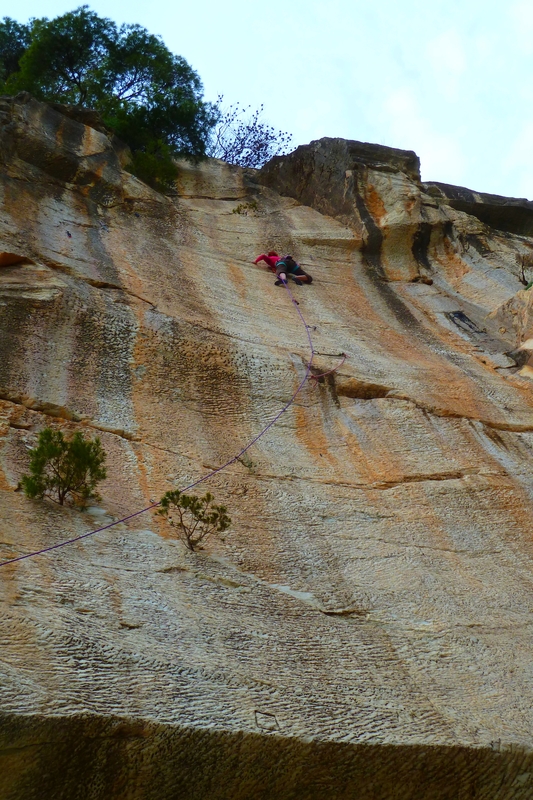 30 routes (30m) from 5c to 8c. 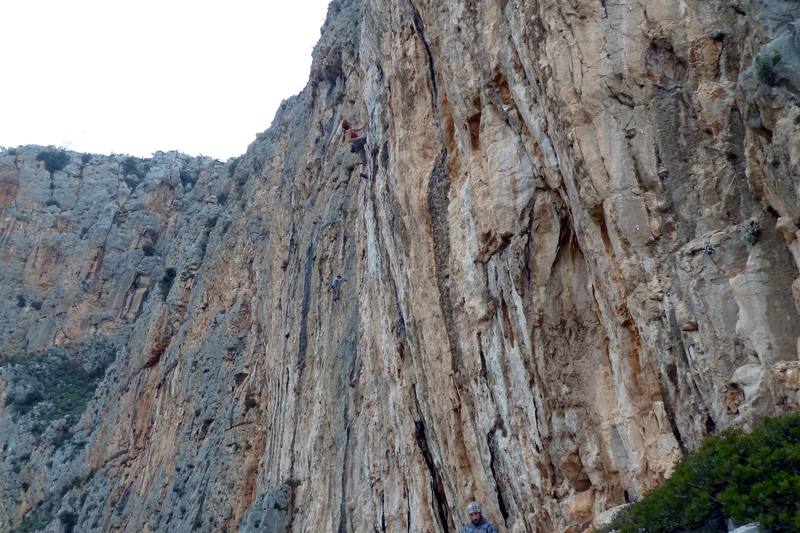 – Elona, an unbelievable impressive 60m overhanging wall with tufas, 10 routes from 7b to project. 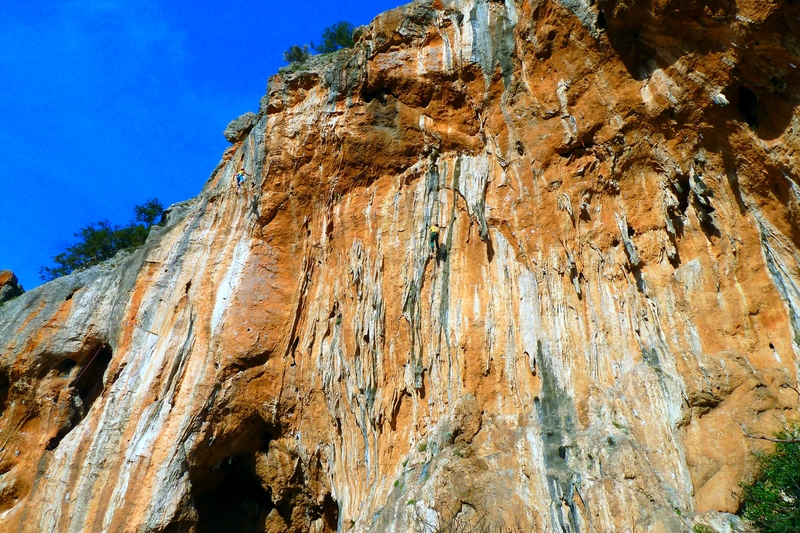 – HADA, a huge red overhanging wall in an isolated gorge, very nice place with very good routes. 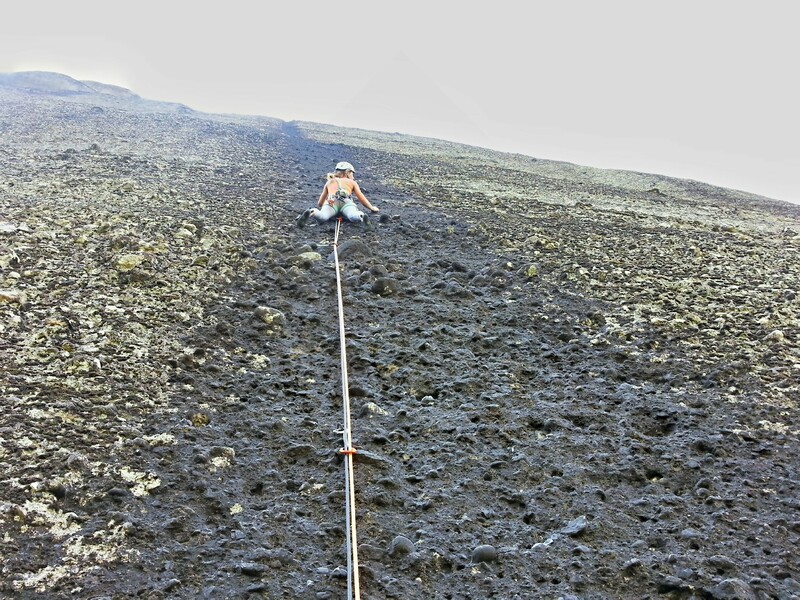 You can climb while raining even after 2 days raining it is still dry. 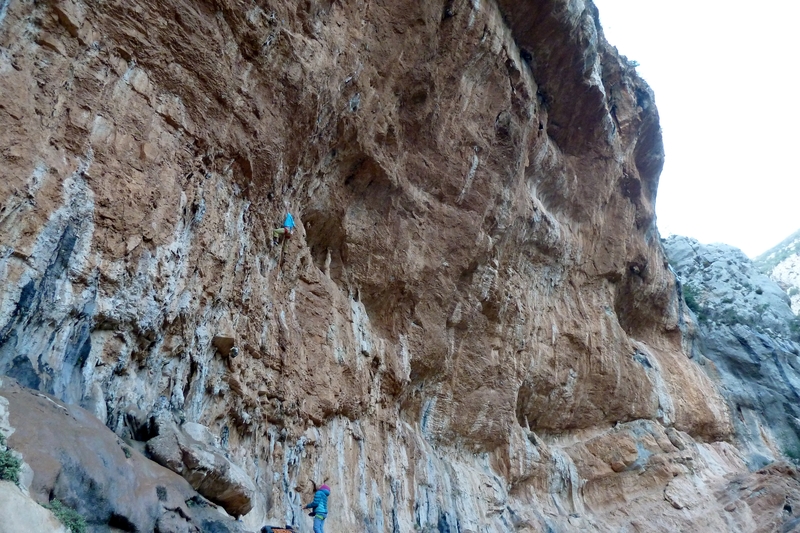 40 routes from 6a to project. 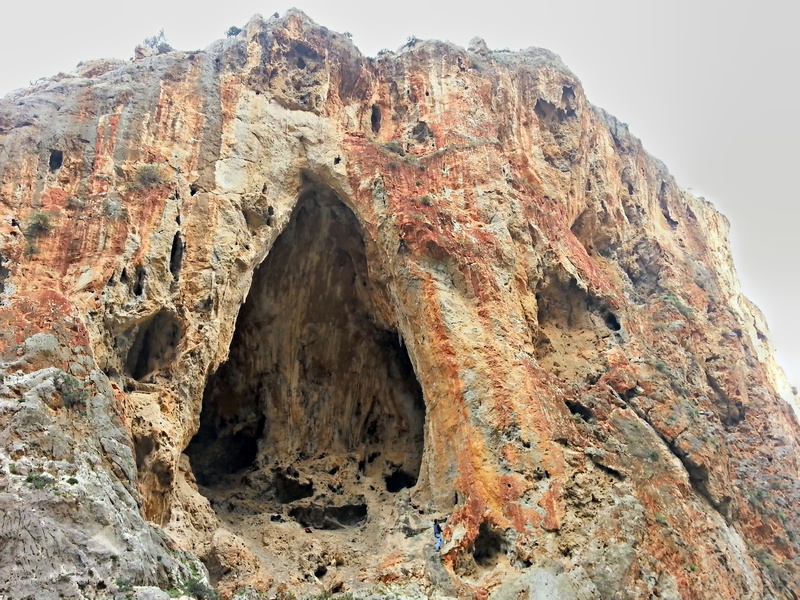 – Twin caves, a very nice cave with amazing tufas ! 35 routes from 6a to project. 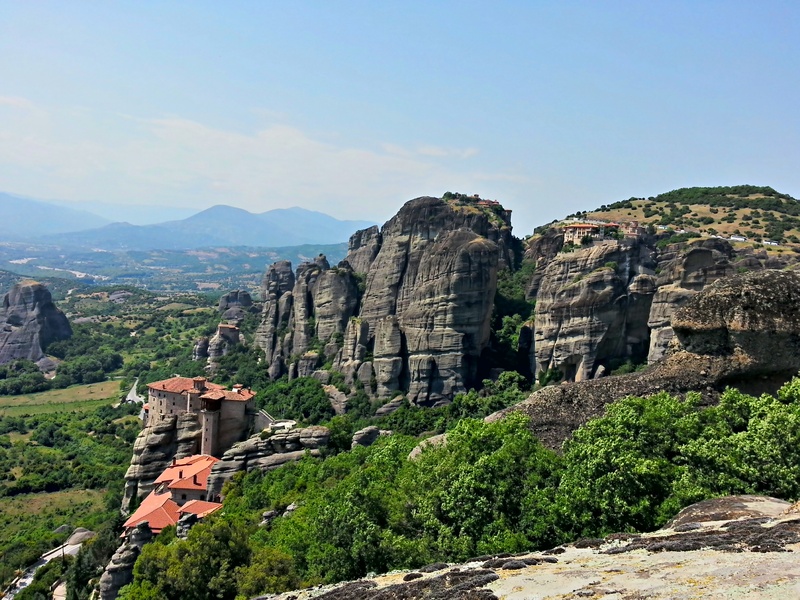 – Balcony, a high slightly overhanging wall on a perfect rock with a great view over the valley. 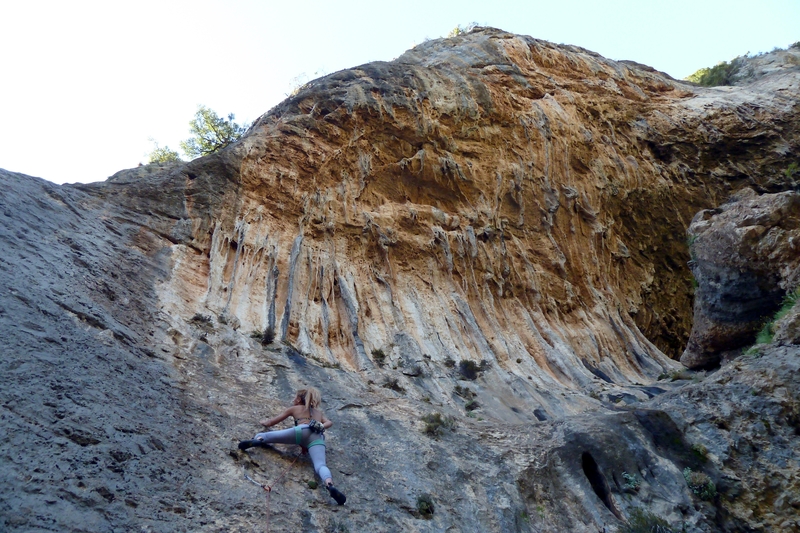 20 routes from 6c to 8a. 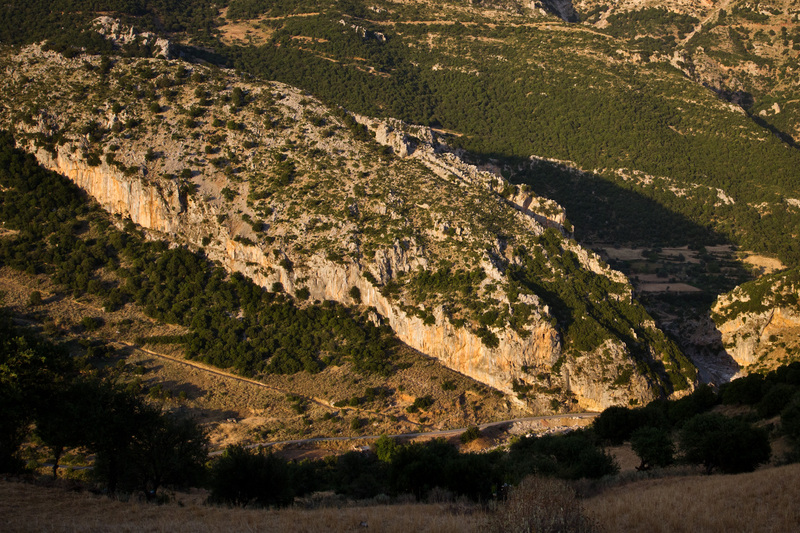 Close to Sparta (Peloponnesus) this place is a paradise; it is on the way to Nedousa if you come from Leonidio. 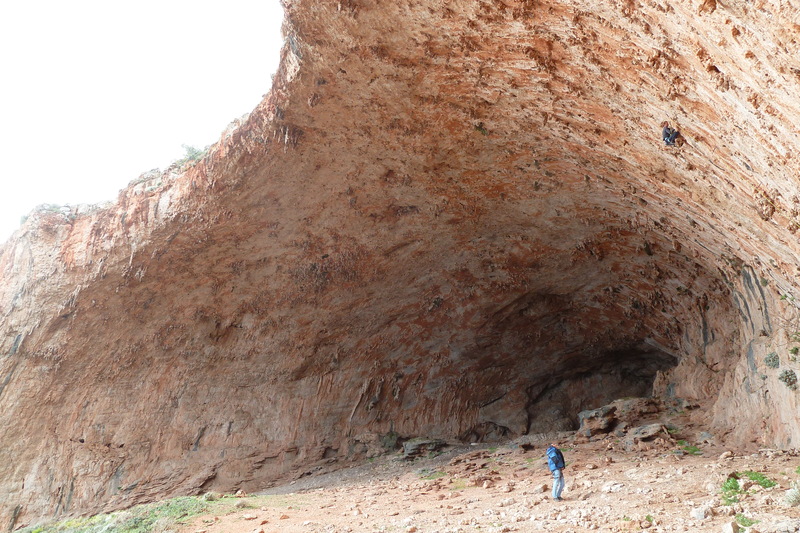 In a very beautiful and quiet valley, with a fast approach you will find a perfect rock from slabs to roof with tufas ! 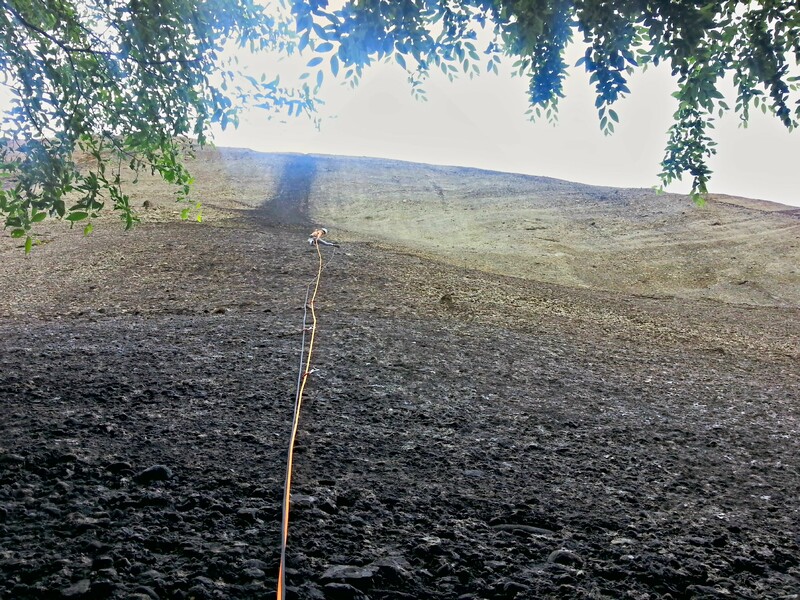 60 routes (30m) from 5c to 8b. 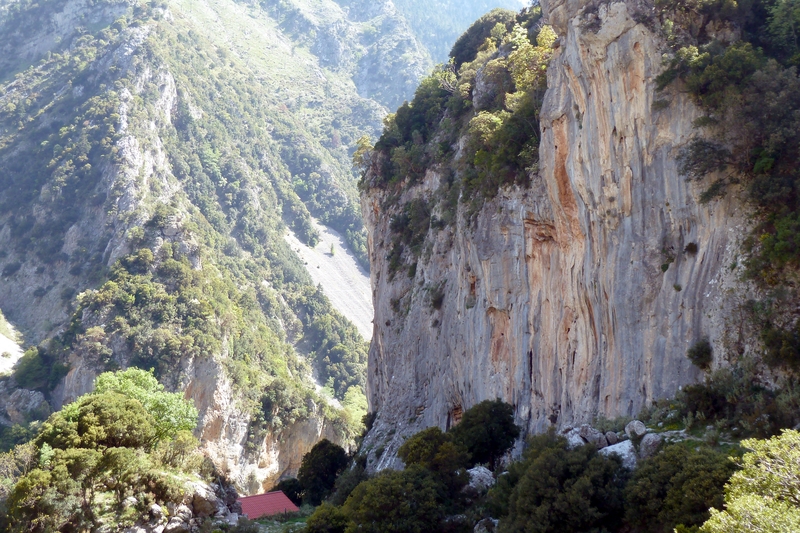 Nedousa is a pretty place for climbing and close to the nice city of Kalamata. 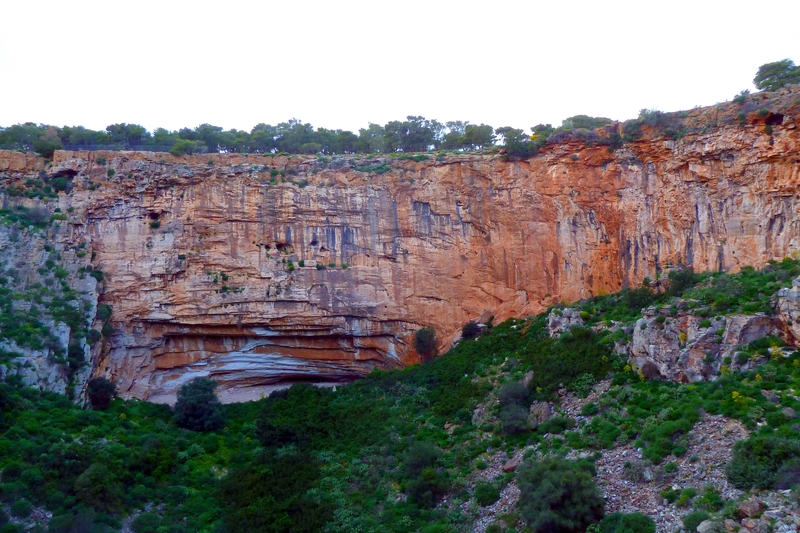 There is many cliffs, very different each other, from crimpy slabs to tufas roofs. 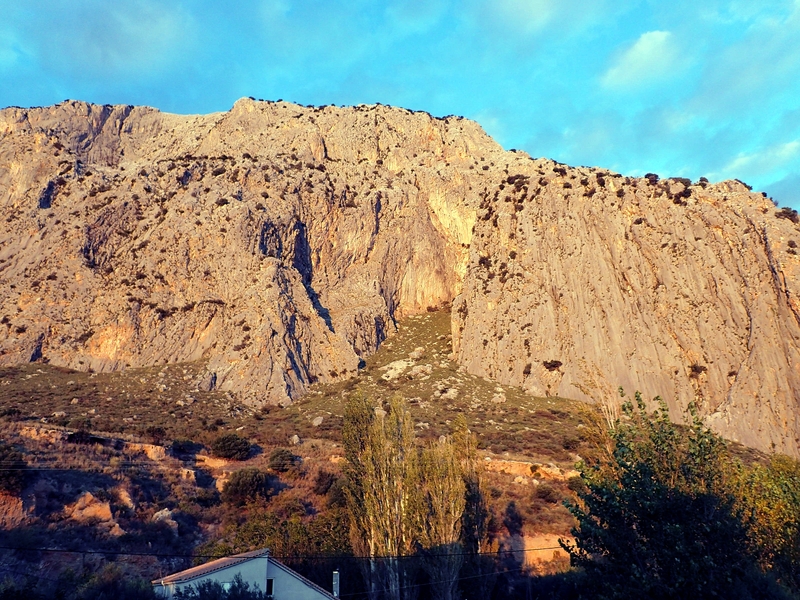 The valley of Nedousa is very quiet and the orientations of the sectors allow to climb all the day in the shadow or sun. I recommend the sector : Riza, Tzerani, Ai Stratigos. 70 routes with these 3 main sectors from 5b to 8b. 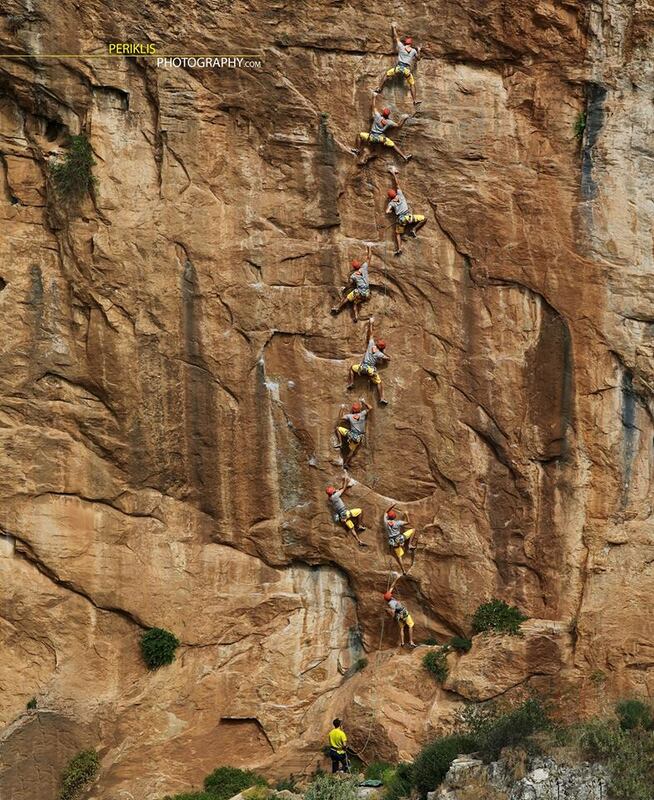 A 30m wall full of tufas and pocket, incredible! Shadow in the morning. 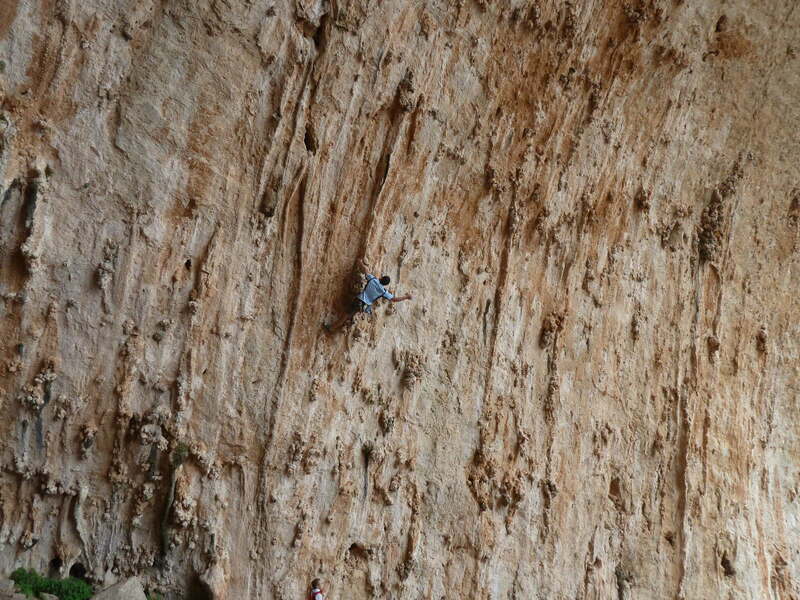 30 routes from 6a to 8b. 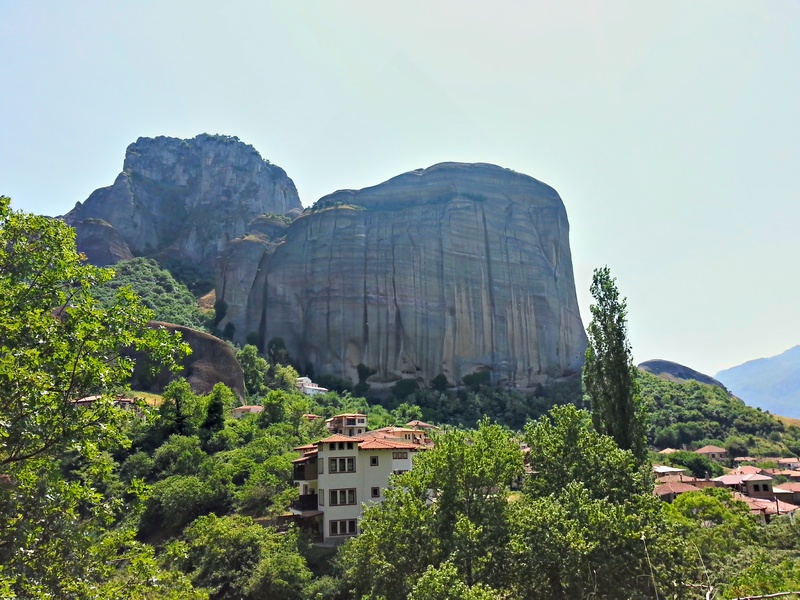 Close to Meteora this is an awesome sport climbing cliff. 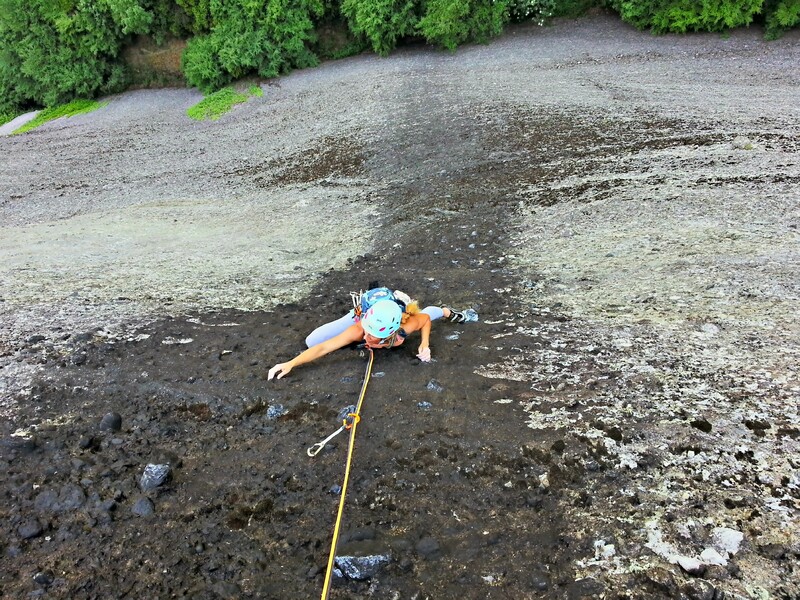 This cliff is located is a gorge with big trees where you belay almost in the river-bed. 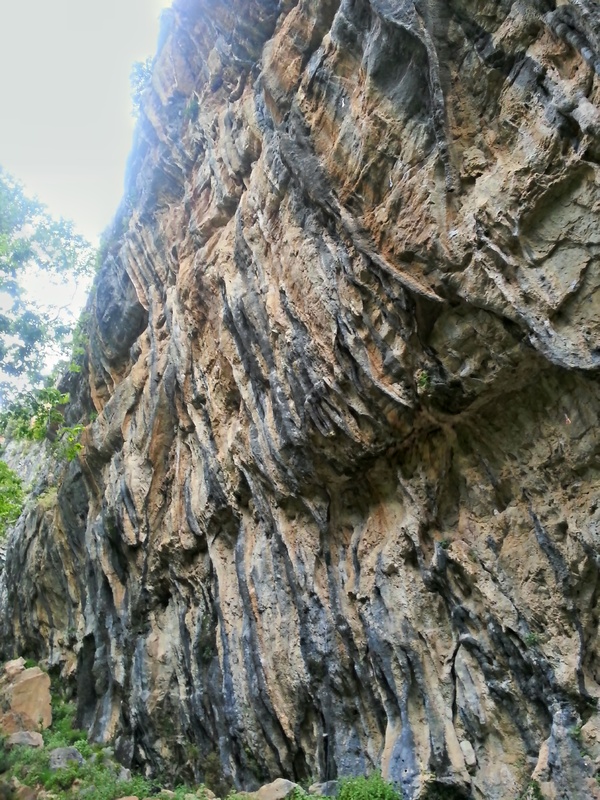 The routes are slight overhanging with big holds and tufas.60 routes (30m) from 6a to 8b. 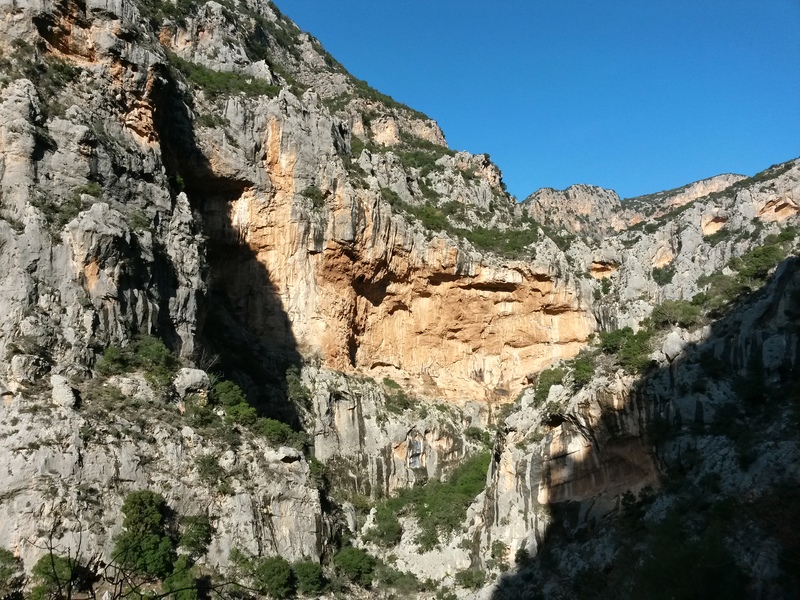 The famous gorge with 200 routes, most of them from 6a to 7c. 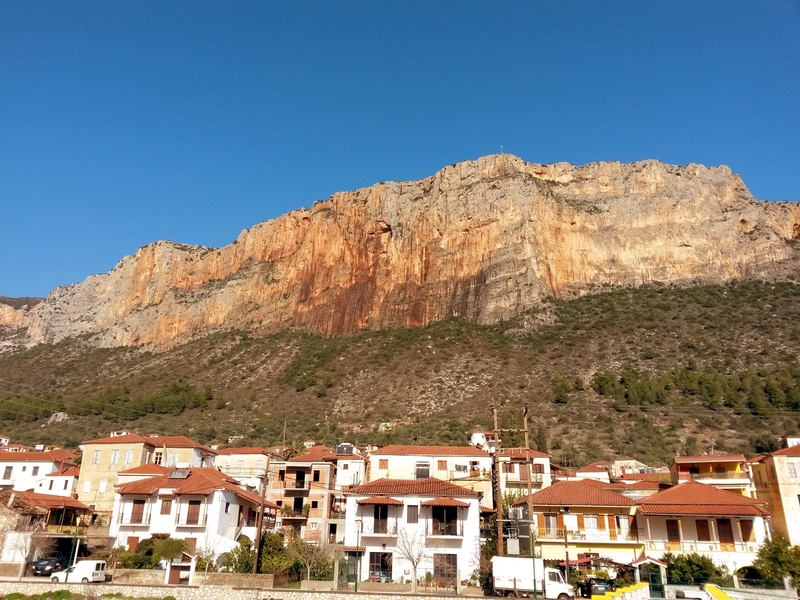 Close to the sea, climbing in the shadow or in the sun all the day (depending on the side of the gorge you climb) on a perfect rock. 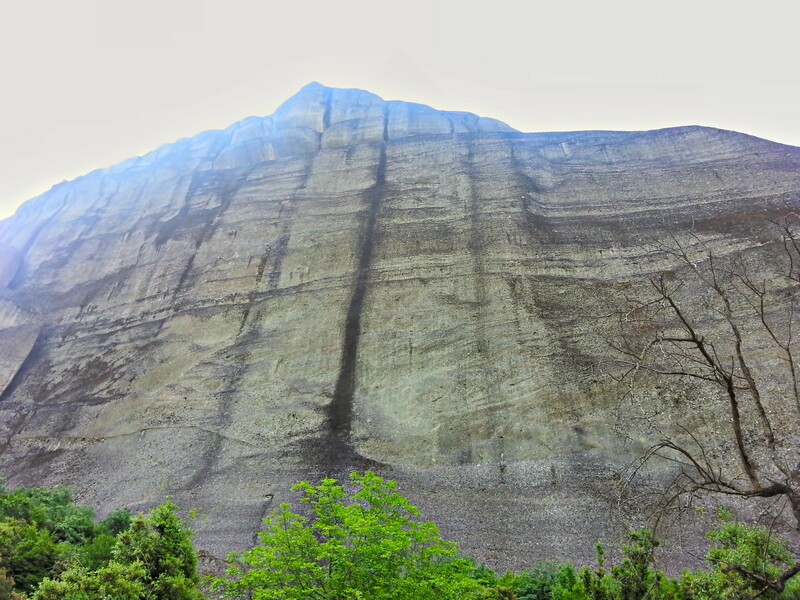 A great huge vertical wall as you has never seen. 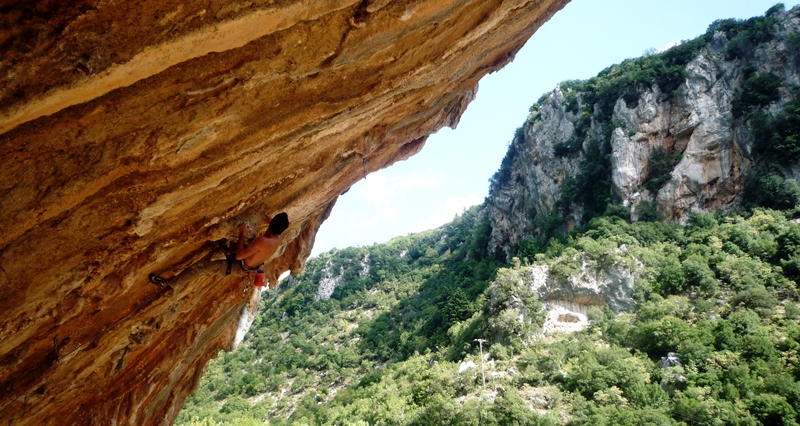 25 routes from 6a to 8a. Stayed secret for many years, you understand why when you see what is it exactly. 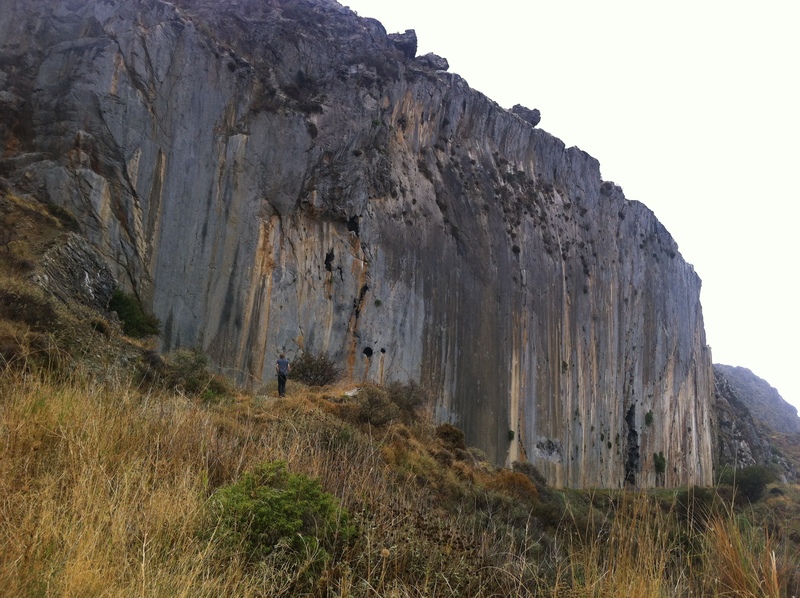 50m high, 80m wide and 50m deep!!! 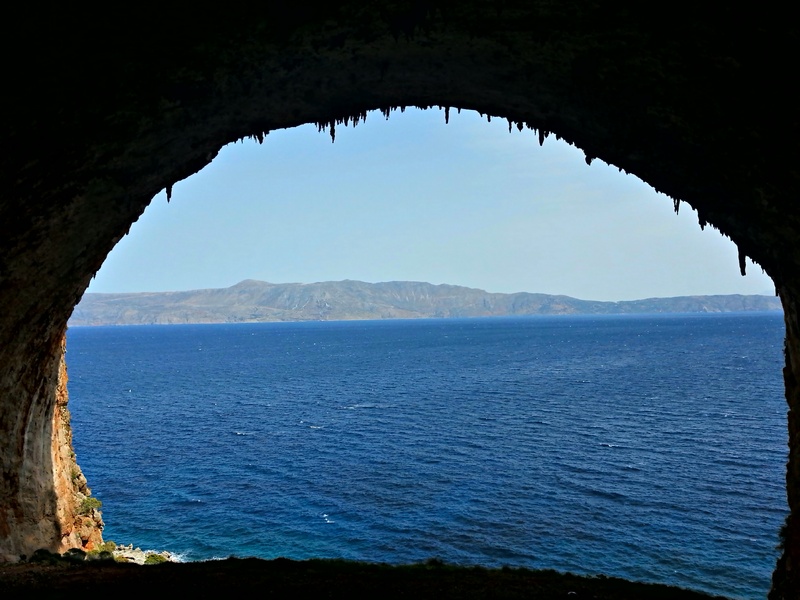 There is no word to explain how it is unreal, just come and check it out. 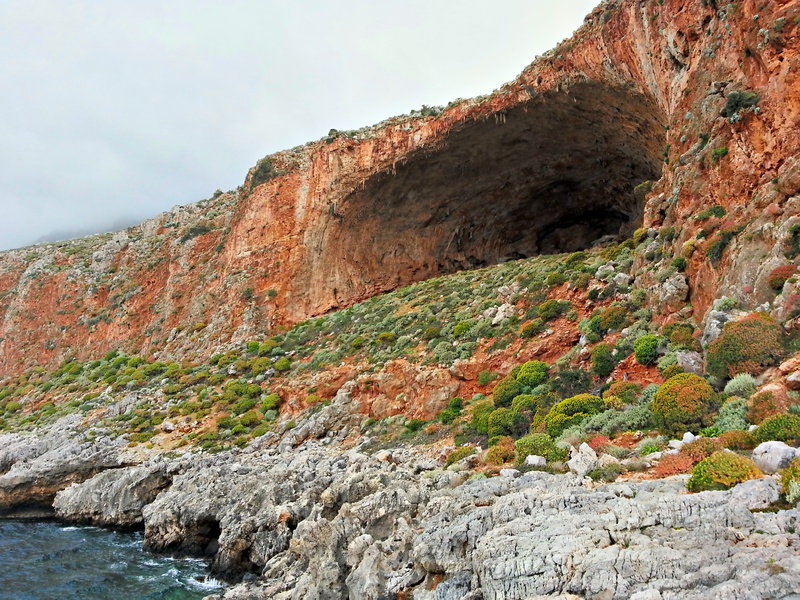 The biggest cave ever seen!! 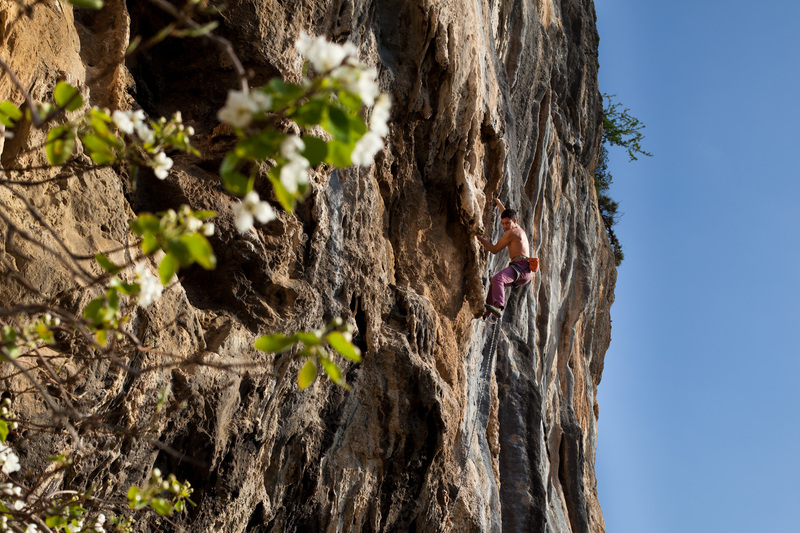 20 routes from 6a to 8b. 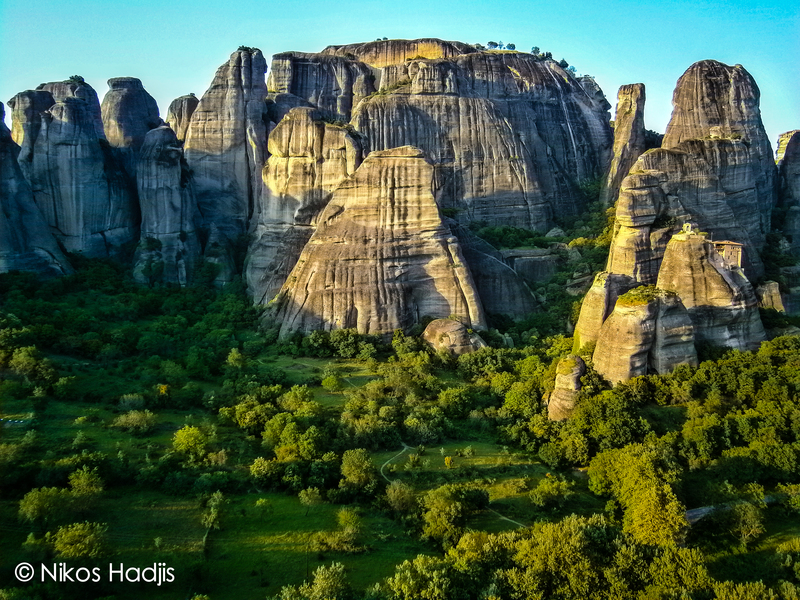 Greece is not the country for multipitches but it has the famous rock of Meteora that must be visited at least once in a climber’s life. 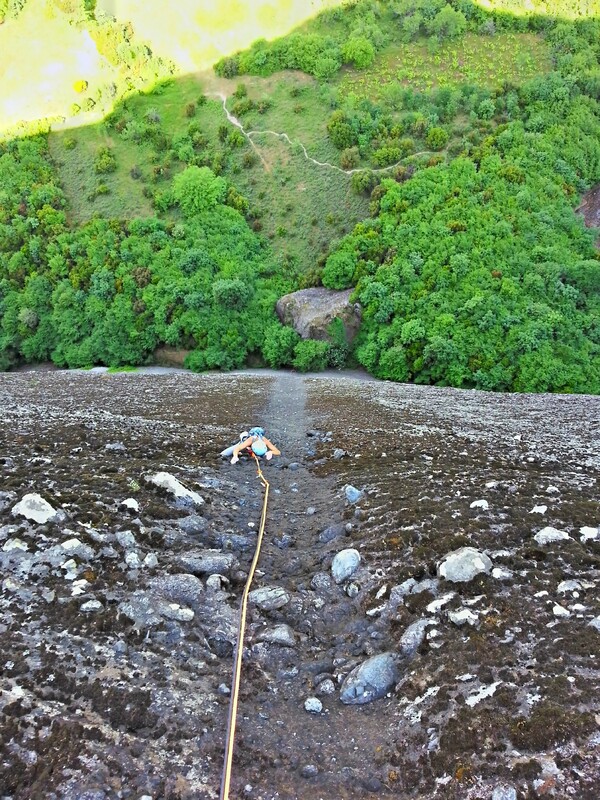 There are other places with less multipitches but with amazing view! 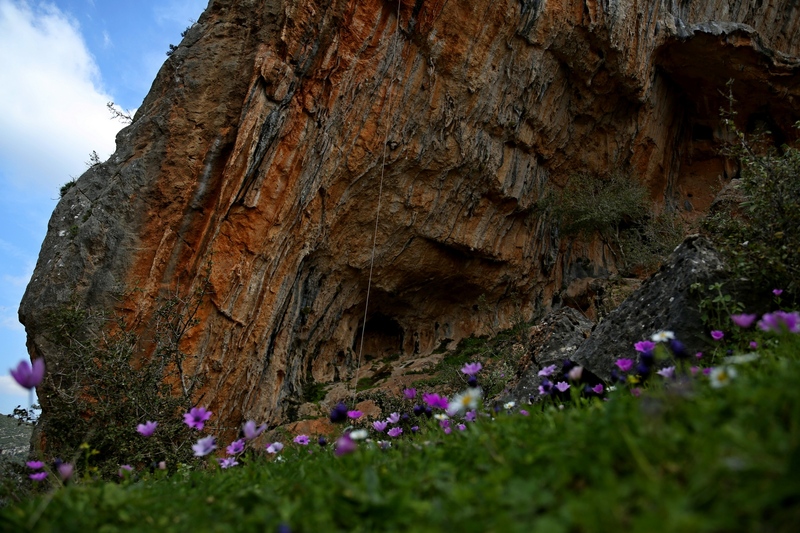 It is a place that every climber should have to go. 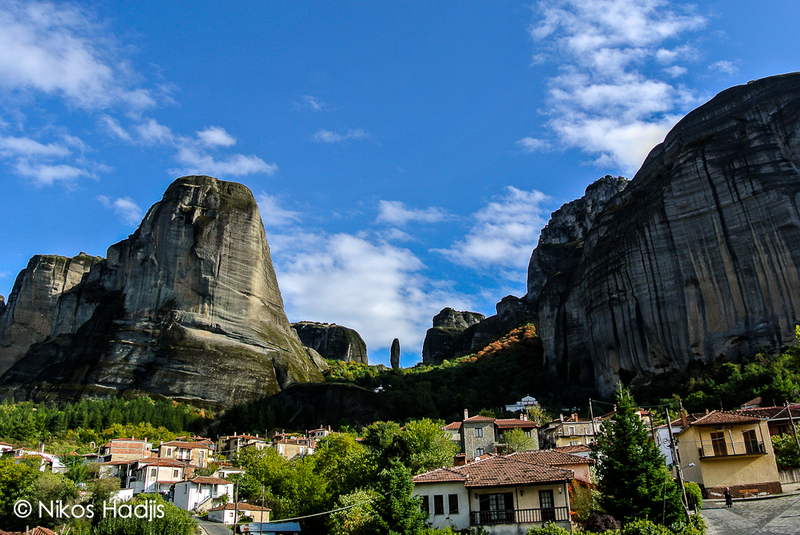 The amazing towers of conglomerate rock are so beautiful with the monasteries! 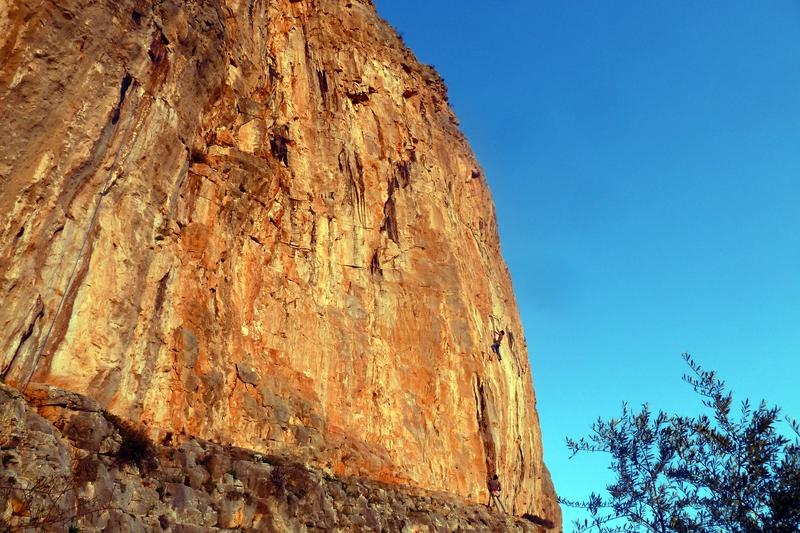 Very high and impressive the climbing style is special but funny on these stones; there are also a lot of cracks where you will need friends and nuts for protections. 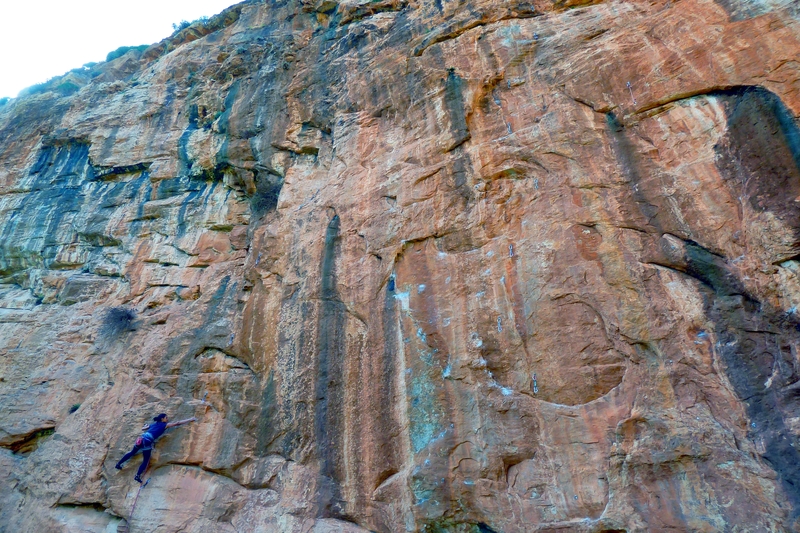 At least 20 multipitches (120m to 300m) “well” bolted on “good” rock. From 5a to 7c. A very nice wall above the beach. 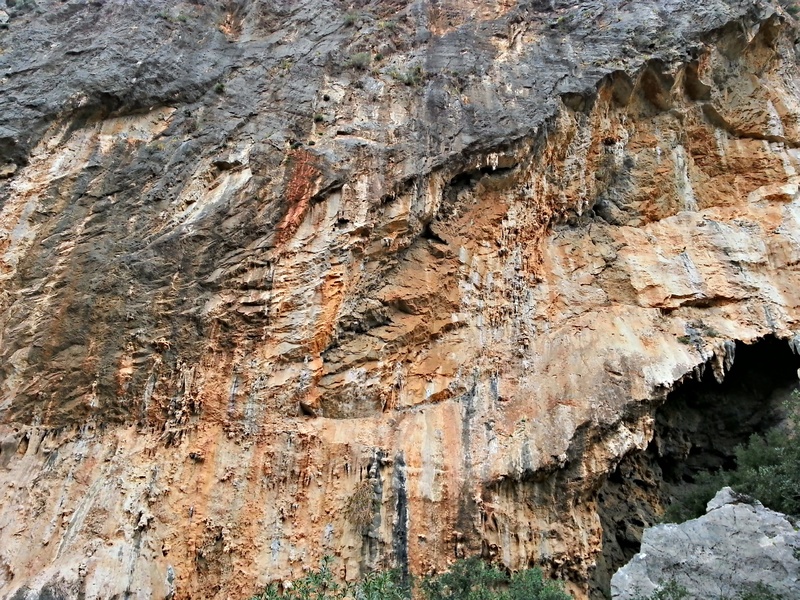 Limestone rock with very good friction, slabs and vertical wall. 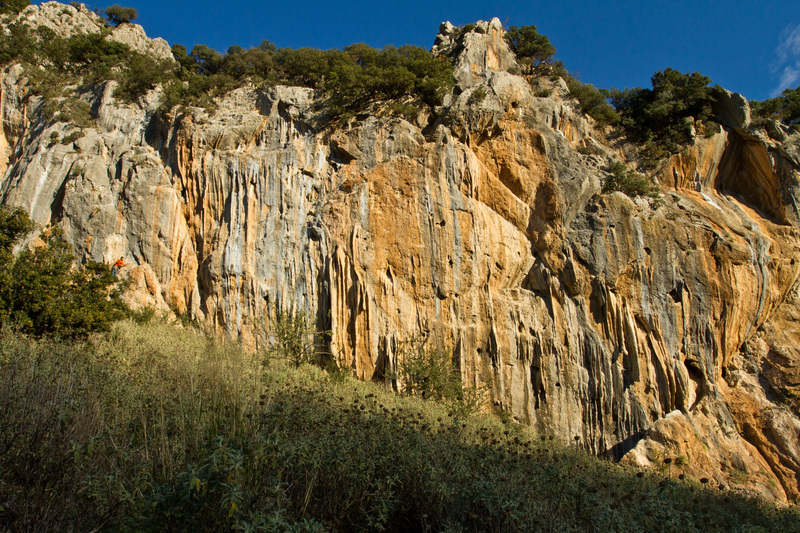 25 sport-climbing routes nearby. 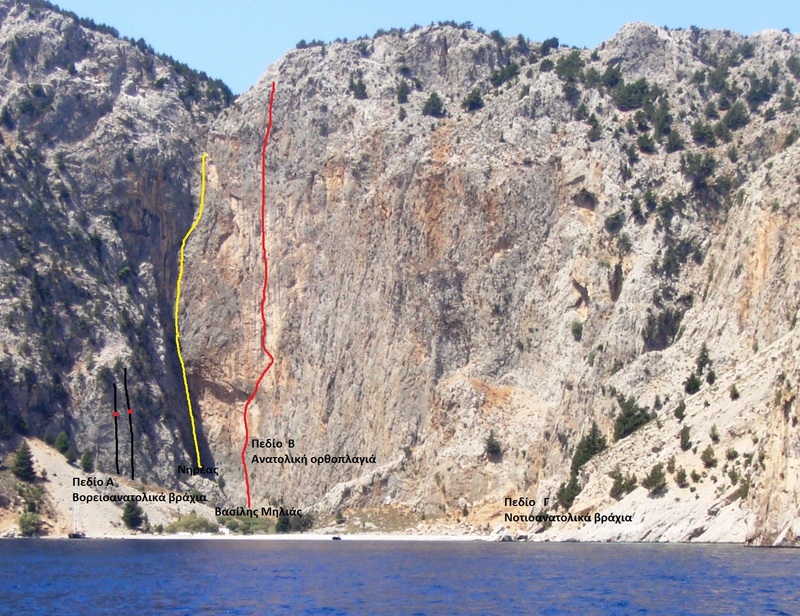 10 multipitches (120m to 500m) from 5a to 7b. Two island with big wall which are worthwhile. (6 multipitches, 250 to 450m). I wish to thanks all my greek friends to the warm welcome when I come in Greece : Fani Kousipetkou, Argyro Papathanasiou, Constantinos Vrohidis, Katerina Touriki, Aris Theodoropoulos, Stavros Psirropoulos, Antonis Anifantakis, Periklis Ripis, Victor Sebros and many others !